Legal custody relates to who has authority to make the larger decisions in a Child’s life. These are not the day-to-day routine items, like if it is pizza or burgers for dinner. Rather, they are the big issues, such as long term medications and educational services. 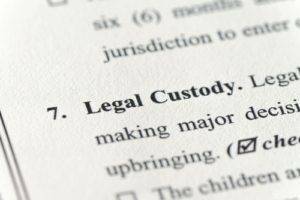 Legal custody is not related to who primarily lives with the Child, which is termed physical or residential custody. Legal custody can either be sole for one parent or joint between both parents. Joint legal custody is encouraged primarily as a voluntary alternative for relatively stable, amicable parents behaving in mature civilized fashion. Joint legal custody, however, is inappropriate where the parties are antagonistic towards each other and have demonstrated an inability to cooperate on matters concerning the child. If you have tried joint legal custody, but it is not working out, then you need not feel as though you are definitely stuck with it, as you can go back to Court to change it. A relationship between parents that has become contentious and suffers from an inability to effectively communicate serves as a sound and substantial basis that an existing Order of Joint Custody is no longer appropriate. The Law Offices of Steven Gildin can answer all of your Legal Custody questions. Call Steven directly at: (516)-524-5657.